Founded in 1978, We've Helped Thousands Of Taxpayers Across the Country Resolve Delinquent Taxes and Move On With Their Lives. 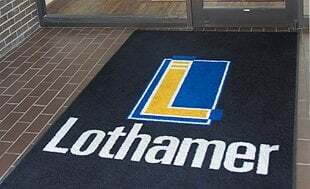 Founded by Jesse I. Lothamer, J.D.,, C.P.A., E.A., in 1978, Lothamer is a national tax firm of Enrolled Agents, who are also Tax Attorneys or Certified Public Accountants (CPAs), specializing in tax representation and tax problem resolution. We’ve successfully represented clients during tax audits, fought for levy releases and lien removals, and helped taxpayers settle with the IRS for less than what they owed. Our combined years of experience and depth of qualifications allow us to provide the most professional representation to help resolve your tax problems with the IRS and state agencies. Our A+ rating with the BBB, high client satisfaction, affordable payment arrangements, and proven results show we are genuinely in this to help people. We not only solve tax problems, but we also show clients innovative ways to get current and get the tax help they need. We want to help you sleep better at night, take a vacation, buy a car, or start a family. And to help you get on with your life, we offer reasonable payment terms, giving you Peace-of-Mind Representation. In addition to this, we are proud to have ten brick-and-mortar offices across the State of Michigan to foster close face-to-face relationships. This focus on local representation, trust, and integrity fueled our growth from the outset, and it’s what has made us the leading personal and business tax resolution firm in Michigan. With the rise of the internet, we’ve made our services available across the country with our innovative eResolution Client Portal, building strong interpersonal relationships and providing better services to every client regardless of location. Seeking out professional assistance for tax problems can mean the difference between keeping and losing your full paycheck, home, business, personal property, or even your marriage. Call us at 877-829-2455 to schedule a initial consultation.